Asunder & Nightrising: New Shadows of the Dragon Lords? Nightrising und Asunder – Kaum richtet unsereins sein Augenmerk etwas mehr auf andere Themen, da zeichnen sich beinahe still und heimlich zwei interessante neue Fantasy-Rollenspielprojekte ab. Vagrant Workshop (Equinox) kündigen für 2017 Nightrising, ein neues Fantasy-Setting an. „Dragons Rule All“ – Die elf Domänen wurden vor Jahrhunderten von Drachen grausam unterjocht. Revolution – die Spieler schlüpfen in die Rolle besonders begabter Firebrands, die gegen die „Herrschaft des (Drachen-)Feuers“ aufbegehren. Jede Gruppe formiert sich um ein Ideal, ein „Patron Fury“, das ihnen Zugriff auf Magie gewährt. Ich kann mir nicht helfen, aber Nightrising erinnert mich an eine Melange aus Earthdawn und Shadow of the Demon Lord. Womit wir zum zweiten Geheimtipp kommen. Schwalb Entertainment (eben Shadow of the Demon Lord, SotDL) bietet seit Kurzem ein beinahe 400-seitiges Playtest-Dokument für Robert Schwalbs neues Rollenspielprojekt Asunder, „a [fantasy] game of people seeking truth, power, and belonging in a savage world without metal“, an. Das Spielsystem basiert auf Shadow of the Demon Lord. No Gods, no metal, no magic, only chaos – mal sehen, inwieweit sich Asunder neben den üblichen Elfen-Zwergen-Orks-Verdächtigen etablieren kann. Beide Projekte kommen auf meine Beobachtungsliste. I’m a fan of wuxia movies like Crouching Tiger, Hidden Dragon (German Title: Tiger & Dragon, Ang Lee, 2000). I grew up with The Water Margin (Die Rebellen vom Liang Shan-Po, Nippon TV, 1973-1974, Buchvorlage: Die Räuber vom Liang-Schan-Moor). In the early 80s, my parents allowed me to watch this Japanese TV show about a Chinese literature classic. Since then I’m a sucker of movies like Detective Dee and the Mystery of the Phantom Flame (Detective Dee und das Geheimnis der Phantomflammen, Tsui Hark, 2010) and House of Flying Daggers (Zhang Yimou, 2004). The wuxia genre with the often copied, still unmatched adventure tales of martial arts heroes in ancient China offer a broad range of stories. Just a few weeks ago I found Brendan Davis‘ fine roleplaying homage – the Wandering Heroes of Ogre Gate RPG. I contacted him for an interview. I hope you enjoy our Q&A. Brendan, wow, your quite new roleplaying game Wandering Heroes of Ogre Gate is clearly inspired by wuxia genre classics like Dragon Gate Inn (German: Die Herberge zum Drachentor by cult director King Hu, 1966). Please give us a brief introduction to your game and setting. 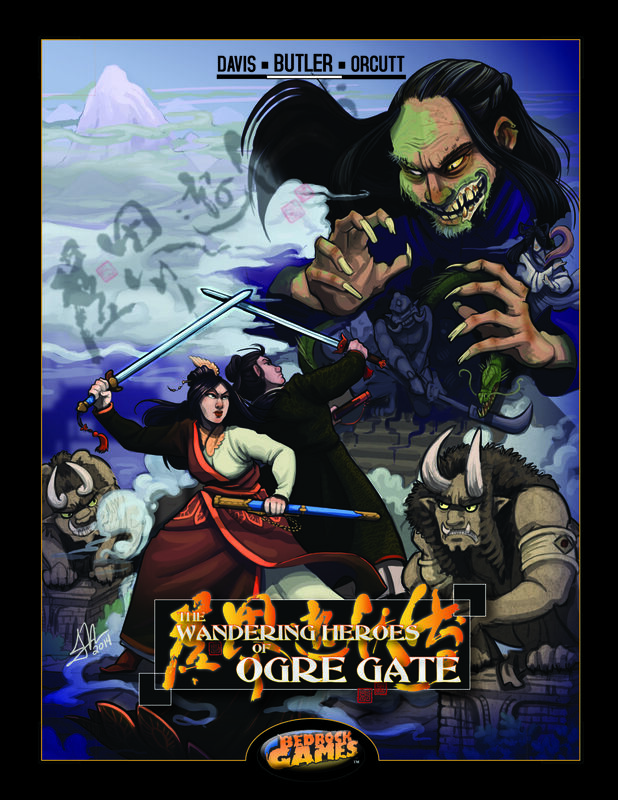 Wandering Heroes of Ogre Gate is a wuxia RPG set in a fictional setting inspired loosely by Song Dynasty China, wuxia drama series and films. It also has fantasy and supernatural elements to create a range of play that spans from classics like Lady Hermit to strange tales like Painted Skin. 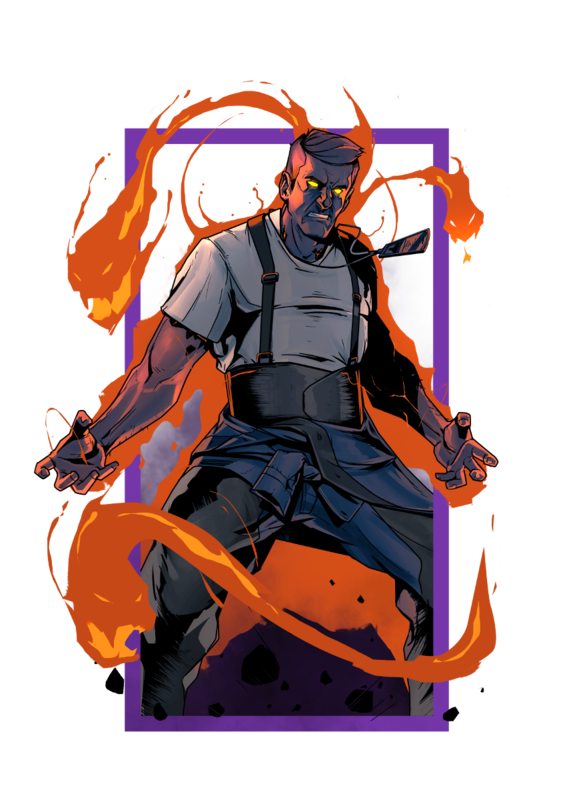 The players are martial heroes with incredible abilities of lightness kung fu, internal energy, swordplay and pressure point techniques. The world they inhabit is fueled by the violent conflict of the martial sects they belong to. The core mechanic of the game is a d10 dice pool. You roll a number of d10 equal to your skill rank, take the single highest result and compare it against a Target Number (either set by the GM or by your foe’s defense ratings). If you meet or exceed the number you succeed. If you get a 10, that is a Total Success (which is a kind of crit). At the moment you offer your Wandering Heroes of Ogre Gate RPG (~ 500 pages) as a free or Pay-what-you-want download. Why do you that and when can we expect to buy printed copies? We originally planned it as a free game. Of course that was when I was only intending to release Ogre Gate as a small supplement for Sertorius. However, as I started working on it, I found it was what I wanted to devote my time to developing so it expanded into a full ruleset and setting. It has all the content you would expect from one of our regular games as a result. Because we’d originally announced it as free, I figured the best way to keep that promise while also enabling us to put out support material, was to release it as Pay-what-you-want. The print version is available for $49.99. 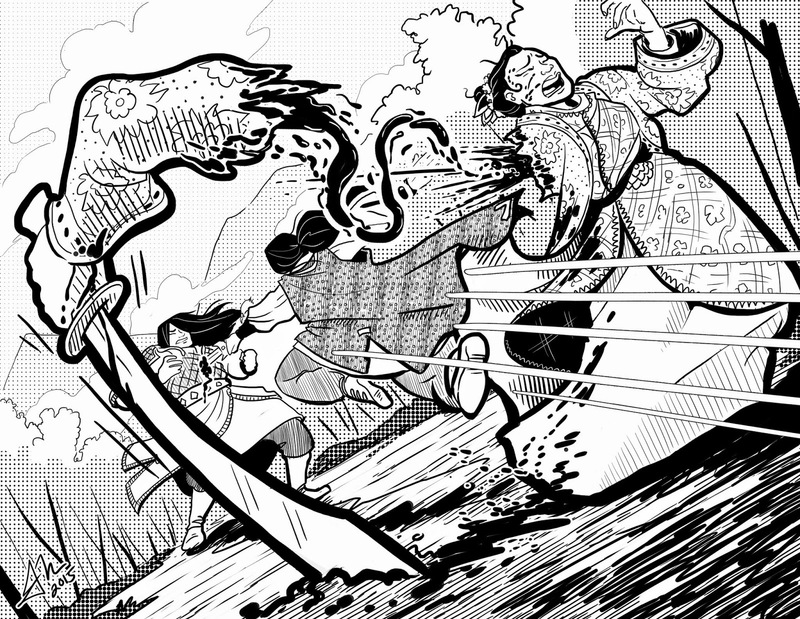 In my opinion, wuxia is usually furious and very action-oriented. Roleplaying games like the otherwise excellent Qin: Warring States (Cubicle 7) “fail” to appropriately emulate the genre, because they are too rules-heavy and slow. How does your game try to catch the very special atmosphere of these gravity-defying movies and stories? I do agree that action is important in wuxia. But personally I think Qin is a great game. I believe what you are describing is the tradeoff every game like this has to make and each one makes a different decision in terms of where to reside on the rules spectrum. 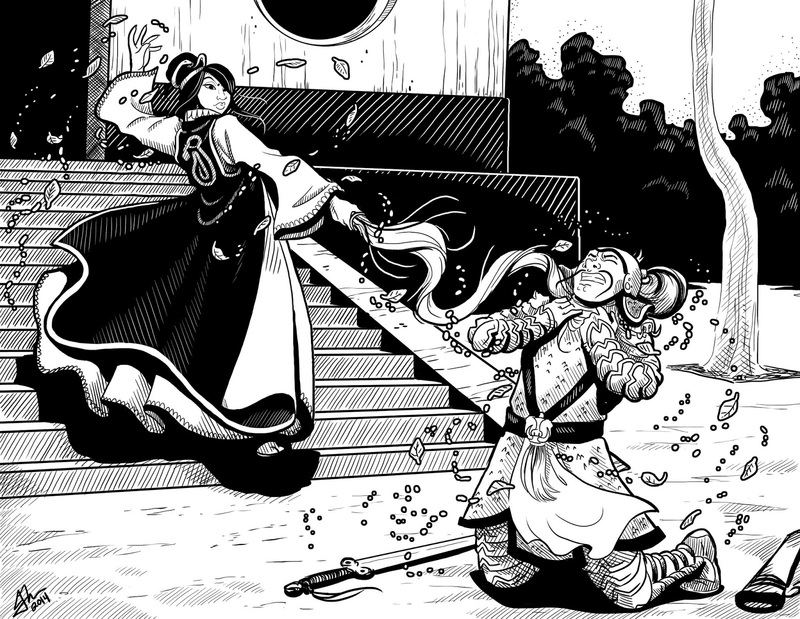 The more rules, the more you can emulate the techniques and powers themselves found in wuxia. But it is also true, things can get slower. The less rules, the faster the game moves, but you can lose that emulation of the individual techniques. And I think in wuxia, individual techniques are really important. It isn’t an attempt to realistically model real fighting, it is a genre with conventions, often fantastic, that are inspired by traditional martial arts. In Wandering Heroes of Ogre Gate we strike something of a middle ground. 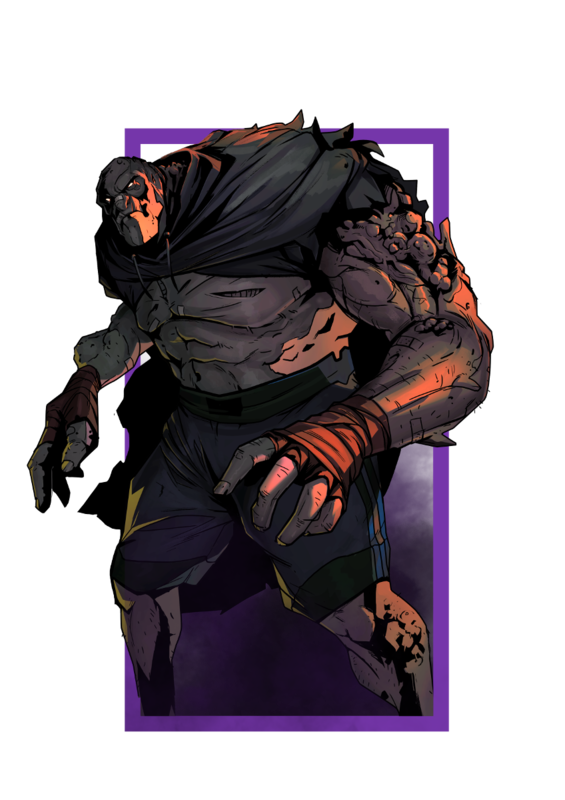 Ogre Gate is based around Kung Fu Techniques, using the Network system, which we’ve developed over the years in games like Horror Show and Servants of Gaius. This incarnation of Network is more robust than previous ones in order to accommodate the presence of Kung Fu Techniques. But the core system is on the fast side. I usually describe it as more rules medium because all of your Kung Fu moves are individual abilities that you select (sort of like spells in Sertorius). Each Kung Fu techniques essentially has two modes: normal and cathartic. The normal mode you can perform all day, every day, without any problem. Cathartic uses are more powerful, and rely on deeper reserves of Qi energy. The Qi doesn’t need to be tracked by anytime you use a technique cathartically, you risk unbalancing your Qi. Every Technique is associated with a particular skill in the game, and that is what you roll when using it (so I would use Arm Strike for Ringing Strike of the Hand, and I would use Athletics for Drift of the Butterfly Fish). So there is the weight of having individual techniques in the game. But what these allow for is a wonderful back and forth as characters trade sword strikes and spin into the air at their foes in a whirl of steel. 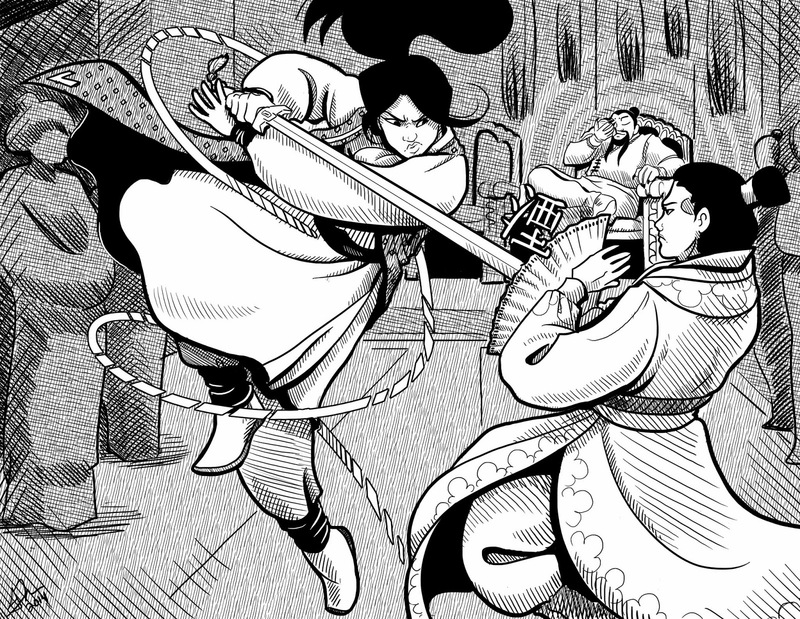 Counters, which are another important feature of the game, really bring that action of the wuxia genre to life in my mind. A representative Wandering Heroes of Ogre Gate group consists what types of characters and what makes them interesting? Which cool classes, races, powers, etc. can players expect? I don’t know that there is one, iconic party for Wandering Heroes of Ogre Gate. One of the things I adore about wuxia is the diversity of stark and eccentric personalities of the martial world. The wuxia genre is filled with all kinds of characters, and players can be anything they want from wandering swordsman who protect the weak against powerful corrupt officials and bullies, to villains who master deadly venom techniques and steal hidden martial arts manuals. I think the Kung Fu Techniques are the first interesting thing about each character. Also the game encourages customization so you can create heroes that fit particular concepts or styles of fighting. It is also a skill-based system. I think one of the most interesting aspects of the game is the skills themselves. These include magic rituals, alchemy, and things like disguise or poison. Characters in the game are assumed to be human. In most campaigns I run, this is how I play the game. But we included optional races inspired loosely, but not directly, by Chinese gazetteers. Among these are a race of four-armed giants called Juren and a race with a third eye capable of detecting emotion called the Ouyan. If you are interested in running something in the style of xianxia rather than wuxia, then these races are more fitting. Which kind of threats will they likely have to oppose? 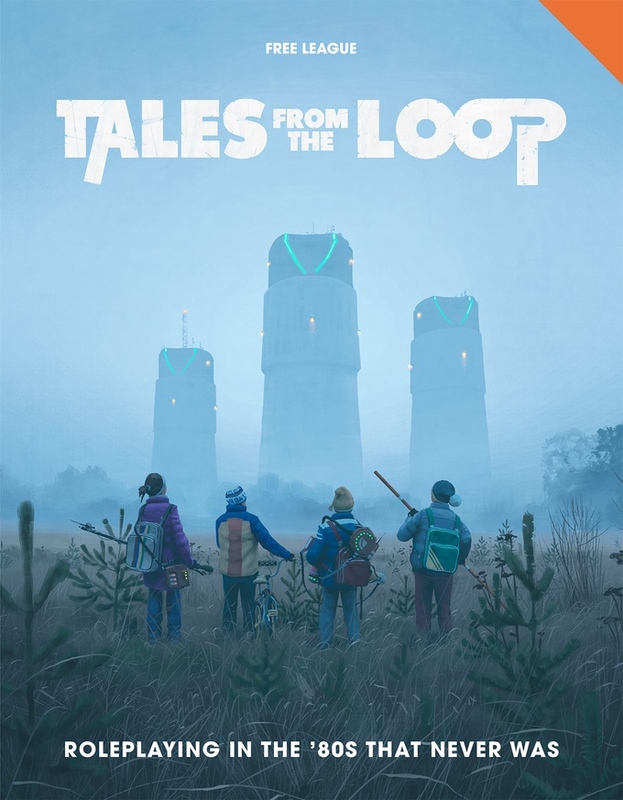 What are stories that players will probably tell? I find you have the same range of threats as in most RPGs of this type. Because we include supernatural and fantasy elements, this makes it easier for the GM to have adventures where ghosts or demons are a threat, but it is very much about the kind of campaign you want to run. The default threats are human. Most characters will face other martial heroes and their sects as the main threat. Over time they will likely develop grudges and find themselves facing the friends, sect-mates and family of people they’ve killed. 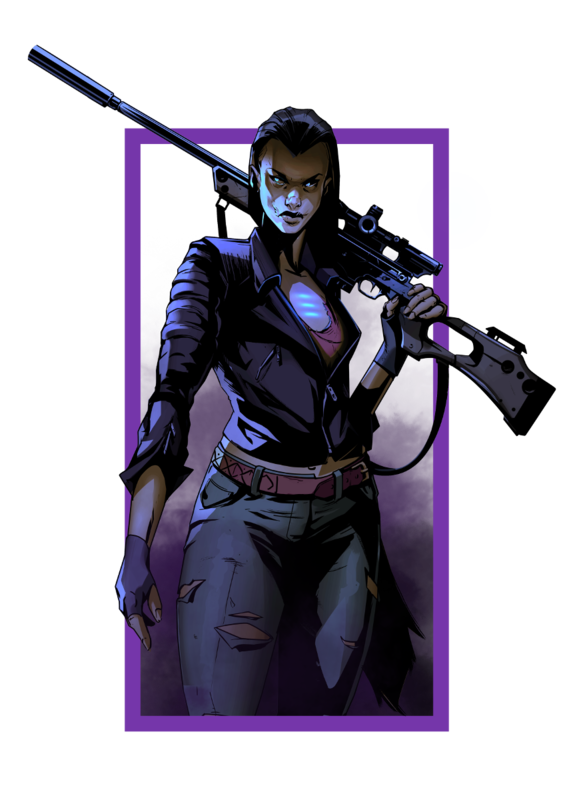 Players can be any type of character they want, and we emphasize allowing players to explore the setting and their character’s goals in the rulebook. Ultimately this stuff is up to the GM and the group, but the title of the game Wandering Heroes of Ogre Gate is also a reminder that characters moving freely, without a railroad is the aim of play. Just to give a concrete example here. I have one group who are on an adventure for an object called the Thousand Painful Deaths Flower. They are seeking it because they want to destroy a powerful enemy called the Plum Tree Monk and learned that this object is potent enough to defeat him. So they are on their way to Iron Temple to discover it. On the way they’ve crossed swords with Tiger Clan, a powerful merchant and secret society of assassins. But I have another group that has taken over its own martial sect by killing the former leadership. They are presently in the middle of a two-front sect war, all while trying to establish control of a criminal network in the city of Yun Hu (where they run a gambling house). So things can range from traditional exploration to character-focused intrigue. One thing that is cool about the wuxia genre is it has this range. Something like the Condor Heroes series is very epic and involves heroes increasing steadily in power as they explore, find masters and manuals and rise in standing in the martial world. But you also have stuff like Killer Clans, which is about a sect war, and other Gu Long-inspired films/series that draw heavily on mystery and noir. I think wuxia works because it is a living genre. So in my mind, an ideal wuxia world allows for investigations, intrigue, exploration, quests and bloody conflict. Please tell us more about your major inspirations. Where can fans find valuable incitements? In terms of gaming, I think Hong Kong Action Theater was an important one. Obviously the concept there is very different and more about Hong Kong action films in general than wuxia specifically, but I remember that being the first martial arts system I liked in a game and also remember it pointing me toward some really great material. I don’t think one would look at Ogre Gate and see that connection necessarily in the mechanics, but it was a game that was in the back of my mind when we were working on this. That was a book that I encountered just as I was really getting into Asian martial arts and martial arts movies. So it had a big impact on my thinking. Oriental Adventures, particularly the third edition, was another one. Again that is more broad-based, and not focused on wuxia or China specifically. I ran it a lot and it was very easy to customize to your taste. So I eventually used it to make wuxia campaigns. In terms of the wuxia genre there is a lot. But I think one of the biggest influences are the 2006 Return of Condor Heroes series, the Dragon Gate Inn films, Bride with White Hair and Killer Clans. Films by King Hu, Chang Cheh and Chor Yuen were also hugely influential. Hong Kong wuxia from the 90s was also a major influence (stuff like Tai Chi Master and Butterfly and Sword). Lady Hermit, Heroes Shed No Tears, Fate of Lee Khan, Last Hurrah for Chivalry, One-Armed Swordsman and Detective Dee and the Mystery of the Phantom Flame are others I’d recommend. It is difficult to reduce all the influences to a short list of movies though, because I think if you want to run a campaign of wuxia you really ought to approach it like you would fantasy or mystery (you wouldn’t just read Tolkien and Howard if you were interested in the fantasy genre, you’d read all kinds of fantasy books). So with wuxia what I recommend to people is see what is out there and find the directors and writers (as well as the actors) who appeal to you. Also books like Tales from a Chinese Studio (by Pu Songling), Outlaws of the Marsh, and the Eleventh Son were an influence. Lately I’ve been reading a lot of fan translations of Gu Long, and I recommend these to gamemasters and players. But I think the game takes most of its inspiration from the visual depiction on film. History was another key source of inspiration. I think reading up on the history is important for this sort of campaign setting. Again, there are many good books one can read, but if I had to pick just one for a GM it would probably be The Age of Confucian Rule: The Song Transformation of China by Dieter Kuhn. The reason is it is clearly written, engaging and provides a good overview of the period the game is inspired by, while also drawing a lot on other helpful secondary sources like Daily Life in China on the Eve of the Mongol Invasion (Jacques Gernet) to give a ground level view of things. It is a good starting point for a GM interested in the history. Another book I’d recommend to any GM is the Dictionary of Official Titles in Imperial China by Charles O. Hucker. This is a great reference book and guide to the government structure. I’d also probably suggest Bing: From Farmer’s Son to Magistrate in Han China. This didn’t directly influence the game (because I only read it last month and it is set in a much earlier period) but it is really helpful I think for any GM trying to wrap their head around this type of setting. It isn’t wuxia, but it gives you a sense of the everyday culture of ancient china. Why do you think fans should play and support your wuxia game right now? I think if they like wuxia and like RPGs, it is worth checking out. Whether they should, that is up to them and what they want in a game. My experience is wuxia fans have very specific things they want when they run a campaign based on the genre. People should look at what is out there and pick the games that fit their taste, or cobble together their own system taking what they like from each one. I believe in connecting people with the game that is right for them. Hopefully that is Ogre Gate but it may be Qin, Weapons of the Gods, Outlaws of the Water Margin, or something else. 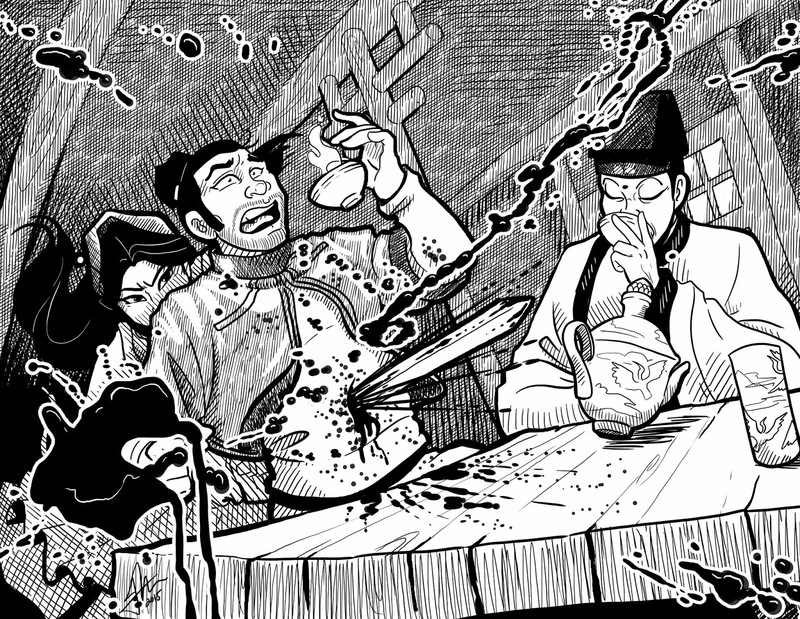 Outlaws of the Water Margin is one that really impressed me a lot. What Wandering Heroes of Ogre Gate offers is a game that was built to play like the things mentioned in my previous answer, with a focus on individual Kung Fu Techniques. It uses a pretty simple core system but we’ve built enough on this that there are plenty of options. There is also a lot packed into this book. 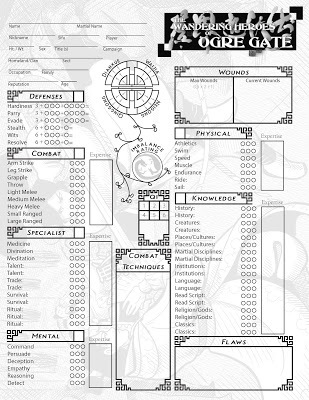 It is filled with setting material, Kung Fu, NPCs, monsters, GM advice, etc. What kind of further development can fans expect for the Wandering Heroes of Ogre Gate RPG? The core book focused on a region called the Banyan in its Gazetteer section. The rest of the setting was dealt with in broader strokes (mainly for page count considerations because we were already looking at 500 pages and didn’t want to grow to 600 or 700). So my aim is to expand on key parts of the setting with setting/adventure books. 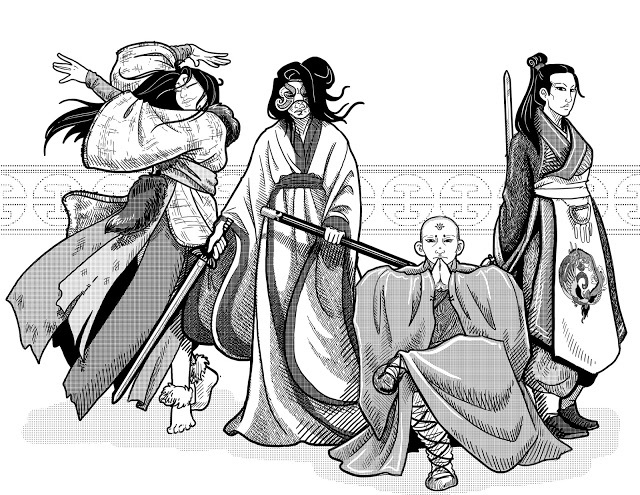 I am also releasing monthly PDFs called Sects of the Martial World. Each one is a new sect with its membership and unique Kung Fu techniques. It is always helpful to have new sects and this is largely how I prep for my own campaigns (by making packets of new sects and NPCs). Finally we’ll eventually put out a high level play book called Profound Masters of Ogre Gate. That is down the road though as I want more feedback from people and would like to take our time developing it. Our next full book will be Ogre Gate Inn and the Strange Land of Li Fan. This is a setting book that describes the Li Fan region but also includes a scenario set at the Ogre Gate Inn (and obviously inspired by the Dragon Gate Inn films). Please tell us more about more about Bedrock Games. Any other projects you want to share? I guess we are about genre. That is the only common thread I can see running through our material. Right now, Ogre Gate is the focus. My business partner and co-designer Bill passed away two years ago and he was always interested in shifting gears so we could focus on adventures and setting books rather than rulebooks. I think this is the period where we are doing that. We will still occasionally release new games, but I’d like put most of my energy into writing for the Ogre Gate setting. We are developing a supers game (but that will be written by someone other than myself). At some point I would like to revisit some of our earlier games. Finally, thank you, best of luck! Anything else you want to add? Thanks to you as well. Just that I hope people will check us out at Bedrockgames.net. Also if anyone wants a sense of what Ogre Gate is all about, I post regular session logs at our blog page: The Bedrock Blog. Further information / Disclaimer: This is – not – a paid advertisement. I have neither a personal relationship to Brendan Davis nor to Bedrock Games or the Wandering Heroes of Ogre Gate RPG design team. I downloaded the Pay-what-you-want / free PDF of the game from DrivethruRPG and bought the three issues of Sects of the Martial World. Studio 2 offers also printed copies the wuxia roleplaying game. 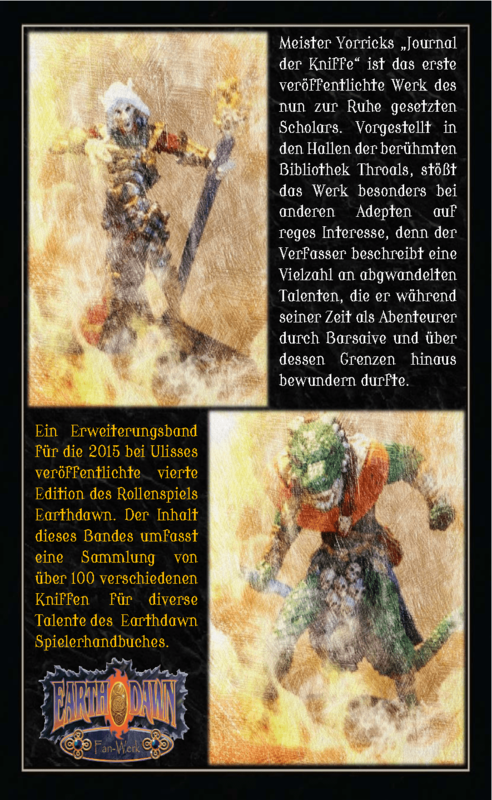 Nico Pendzialek, Autor der Earthdawn-Fanerweiterungen Verborgene Talente und Earthdawn – Mystic Bonds, gehört neuerdings in den erlesenen Kreis der Earthdawn–Fanwerk-er und Drittanbieter. Sein neues Werk Barsaives Botschafter – Journal der Kniffe (31 Seiten) kann über Ulisses Spiele ebooks für 4,99 € bezogen werden. 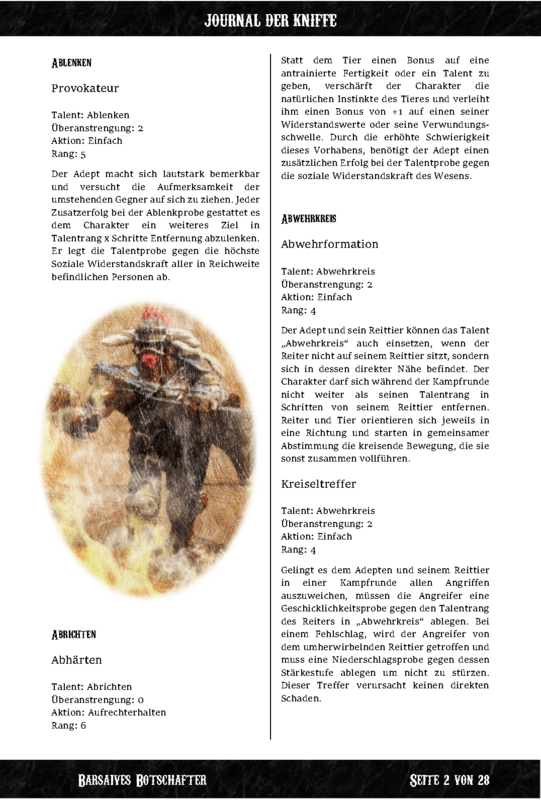 Nico ist ein alter Freund und ein enthusiastischer Earthdawn-Anhänger. Selbstredend lasse ich mir die Gelegenheit einer gewissermaßen „exklusiven“ Vorschau nicht nehmen. Nicos vollständiges Fanwerk zur 4. 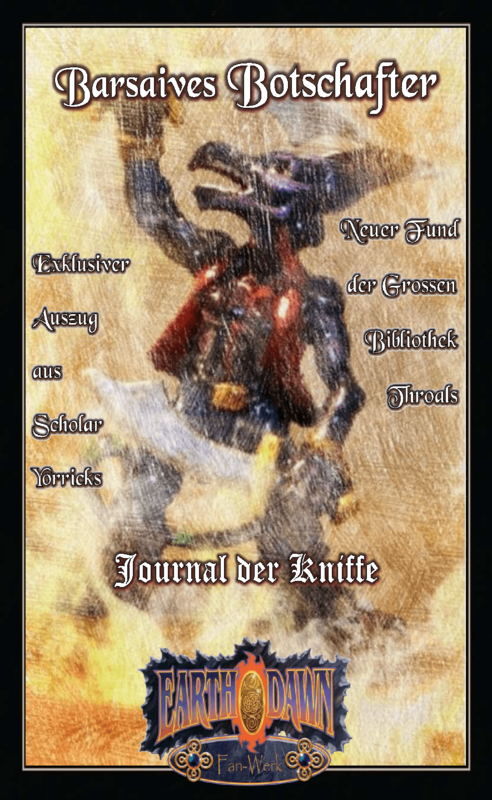 Edition von Earthdawn gibt es, wie gesagt, über Ulisses Spiele ebooks. Disclaimer: Nico ist ein Freund und ich verwende keine Affiliate-Links. Hoffentlich finden einige andere Fans Gefallen an seiner Leidenschaft. Viel Spaß damit. Welcome to the City of Mist! 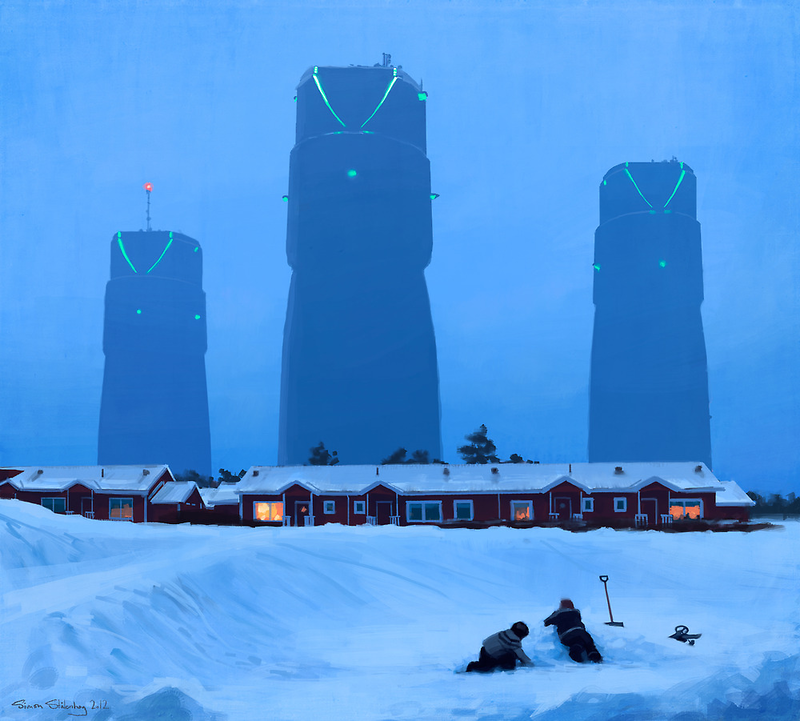 Heading to the point without further preface – Amit Moshe, creator of the intriguing City of Mist roleplaying game by the Son of Oak Game Studio, answered some questions about his project and his Kickstarter crowdfunding. In your opinion, what are the major aspects of the City of Mist RPG? Please give us an elevator pitch of the system and the setting. City of Mist is a noir (detective) game about ancient stories and legends trying to manifest in a modern day city. You play Gateways, ordinary individuals who become infused with a legendary force called a Mythos – a force that is trying to tell its story through them. However, the city is under the influence of the Myst, a mystical veil that obscures all legends and makes them believe they are mundane, so your character is constantly torn between her normal life and the legend inside her. Driven to solve their personal and group questions, your crew investigates strange cases and unsolved mysteries in hopes to uncover the truth about the city, its legends, and eventually themselves. Of course, on they way they will meet many other legends with different agendas who will try to use them for their own story. The system, which is tailored for the game, is completely based on free-text tags in order to allow full flexibility in choosing your powers, activating them at any level (with a price), and describing any kind of condition you can think of, all without losing the crunch and impact on the game. Also, the game has a non-linear character development system that is influenced by your choices between the legendary and ordinary aspects of your character. At first glance, your game system looks like a mash-up of Powered by the Apocalypse (e. g. Apocalypse World, Dungeon World, tremulus) and Fate. What are the unique features of City of Mist? 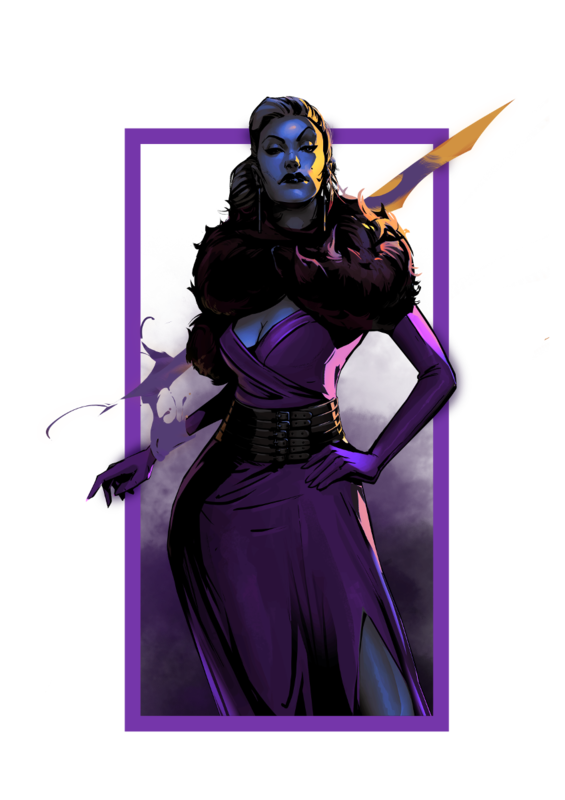 Actually, while we did play some of the original campaigns of City of Mist using FATE, the real inspiration for the system came from the game Lady Blackbird. I was looking for a way to offer complete flexibility in describing your character without getting that feeling I sometimes got with FATE where all the rolls felt the same. So I combined the Apocalypse Engine, which is great for drama and suspense, with something similar to Lady Blackbird’s tags. 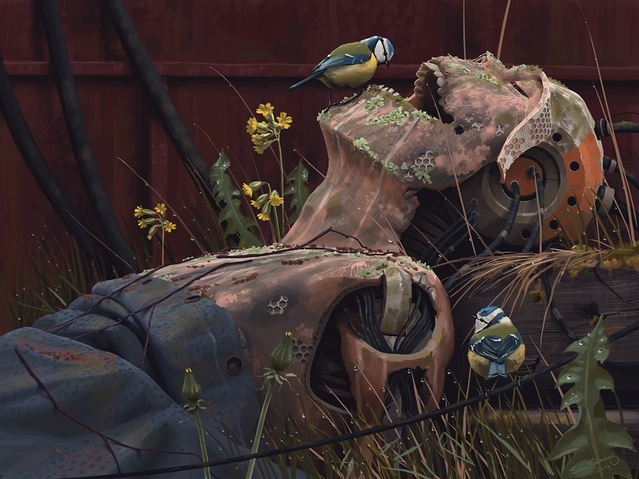 The result is a very cinematic game engine. There are no stats or skills, just short descriptions, and you use them to invoke trope-based moves that keep driving the story forward, allowing players to take control and express their characters. For example, alongside moves like Investigate and Take a Risk, we have moves like Make A Hard Choice which is invoked in a moment of inner struggle, or Stop Holding Back which you invoke when your character is really unleashing her legend and is willing to sacrifice to do so. As I mentioned earlier, even the ‘damage’ system is descriptive and crunchy at the same time, so when you take conditions they can get any type of descriptor and still have a meaningful impact, for example chained-3, depressed-2, or forced-into-astral-projection-5. The character evolution system demands that you act in line with your character’s themes – search for answers to your personal Mysteries and uphold your Identities. When you do, you can evolve your themes and get more tags and improvements (e.g., special moves). When you don’t, you may end up losing the theme which is equivalent to a hero in a story failing their best friend of losing their powers, but this also opens up an opportunity for a new theme to arise. So basically you have a lot of opportunities to develop your character’s story and that has a direct impact on your tags and therefore abilities. A representative City of Mist group consists what types of characters and what makes them interesting? Which cool „classes, races, powers, etc.“ can players expect? The system is completely classless – there are no types of characters in City of Mist and every legend is totally unique. However, to help you create your character we will offer themebooks: they are like character creation questionnaires relating to a specific theme in your character, e.g. Mission, Training, Personality, Defining Event, Defining Relationship etc. There are also Mythos-powers themebooks, such as Bastion to describe the Mythos defensive powers or Subversion to describe the powers it gave you to hide your activity. However, these themebooks don’t force you to choose specific types of powers; they help you discover and put into words the specifics of your chosen legendary powers. Beyond the fact that your character can have any power or trait you have in mind, the game also makes it easy for you to create a set of motives in the form of Mysteries and Identities, for both your character and the groups as a whole. This makes for some great tension when you try to navigate your own conflicting agendas. The Myst makes everybody in the City oblivious to the activity of legends, but in actuality, Mythoi and their avatars run the city. The greatest politicians, crimelords, and trend setters are only dancing to the flute of some legend or another (or they are legends themselves). Strange things happen all the time in City of Mist: people disappear, start behaving differently, ancient artifacts get stolen, etc. — but normal people can’t see these cases for what they really are. Partly awakened, you can remember the miracles and horrors you see, unlike the greater population. Maybe you are asked to do a job as professionals, or you run a private investigation firm, or you operate as masked vigilantes or conspiracy busters. Whatever the reason, you uncannily get involved in these strange cases that may interest you personally but also help you discover more about the situation in the city. Your setting reminds me of Matt Wagner’s excellent Mage: The Hero Discovered books. Please tell us more about your inspirations. Where can fans find valuable incitements? Yes, I remember that comic book! Actually, one of the players in the first City of Mist campaign (over 10 years ago) introduced me to it and I really enjoyed it. 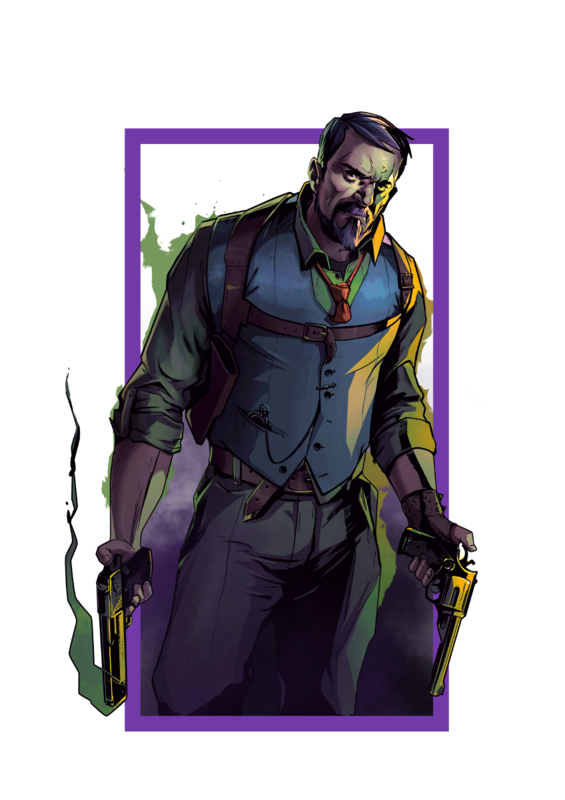 For this project, the main inspirations were the Fables universe [DC Vertigo comic books], and particularly the Telltale mobile game The Wolf Among Us, as well as Netflix’s Daredevil and Jessica Jones, which, although they are not inherently mystical, really capture the noir detective-with-powers atmosphere that I wanted to craft the game around. Of course, this is reflected in many of my choices regarding the art and design. Who or what is Son of Oak Game Studio? Son of Oak Game Studio is the indie team that has been working on the game and will be involved in the development of the full version. Currently, it includes myself in the role of game creator, designer, and producer; Marcin Soboń, our amazing illustrator; Juancho Capic and Manuel Serra as the graphic designers; and Eran Aviram as the editor. Yaniv (Neev) Rozenblat also helps us with community-building and general inspiration. 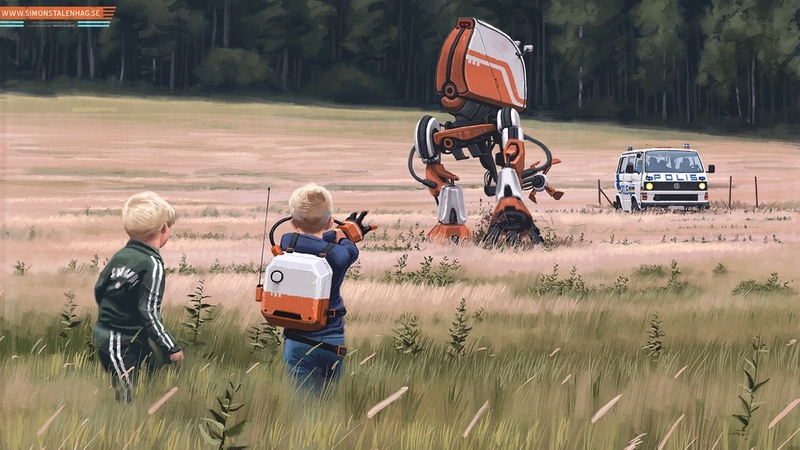 After the Kickstarter, what kind of further development can fans expect? Any other projects you want to share? Oh, yes, we have a lot coming up… Beyond the completion of the full book, we already have plans for about four different sourcebooks, and a whole story arc of Cases (adventures/scenarios). 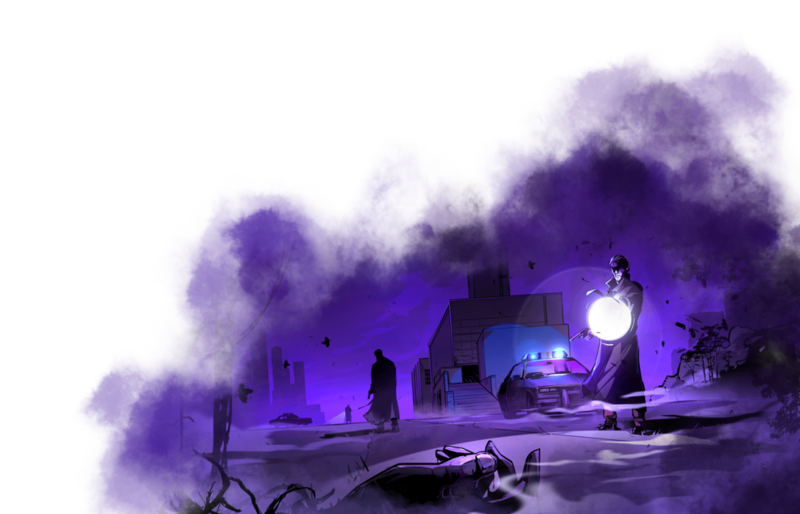 We’re also toying with that idea of creating a City of Mist comic book, but that remains to be seen. There are other, bigger surprises waiting to unlock on our Kickstarter campaign that may affect the future. My personal favourite is going to involve the City of Mist fans in a way that I don’t think was ever done before. So it’s worth the wait. As for the future, there are already solid directions for two more games from Son of Oak, but right now we have our full attention on City of Mist. Why do you think fans should support the Kickstarter for City of Mist right now? 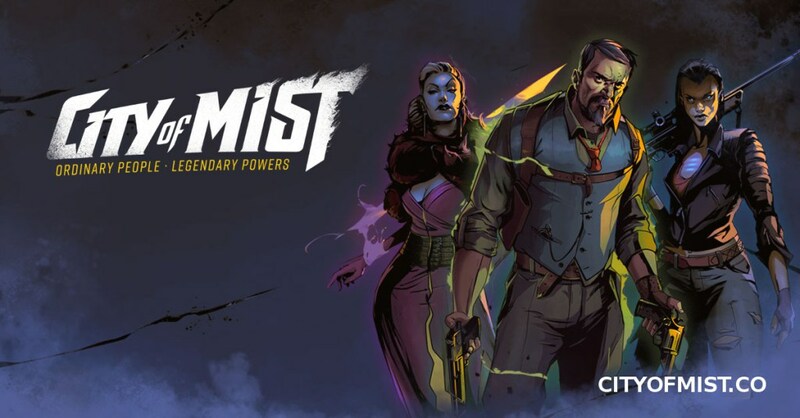 First, if you like the premise of the game and you want to create mythically-powered detective stories in City of Mist, the full book will be packed with loads of ideas, inspiration, and awesome mechanics for your games. Second, if you checked out our Starter Set and loved what you saw, you’ll know that we are committed to creating beautiful products that are a pleasure to read and flick through as well as play. And third, the Kickstarter Campaign will offer many different types of goodies for backers, from KS-exclusive content to various accessories, and some significant discounts — we really want to give back to the community that supports us. Finally, how would you describe the Israeli hobby scene? The Israeli RPG scene is incredibly active. For such a small country, there are so many opportunities to play. There are at least 3 major conventions every year, as well as many small ones. There are seveal ongoing LARP games, several hobby stores, a number of blogs and podcasts, very active forums and Facebook group etc. A lot of the credit for this should go to the ISRP (Israeli Role-Players), a non-profit organization that has really promoted RPGs here and has made some incredible achievements considering they are based on volunteer work alone. The community in Israel actually contributed a great deal to making City of Mist happen, whether by playing and running playtests and actual plays, helping to promote it locally and abroad, producing a Hebrew version, etc. The challenge faced by the RPG community here is the lack for financial prospects for creating content in Hebrew, which has made it virtually impossible for creators, artists, and even translators from Israel to work professionally on Hebrew games. Thank you, anything else you want to add? Thank you for the opportunity to talk about City of Mist! For further information check out the Kickstarter for the City of Mist RPG. 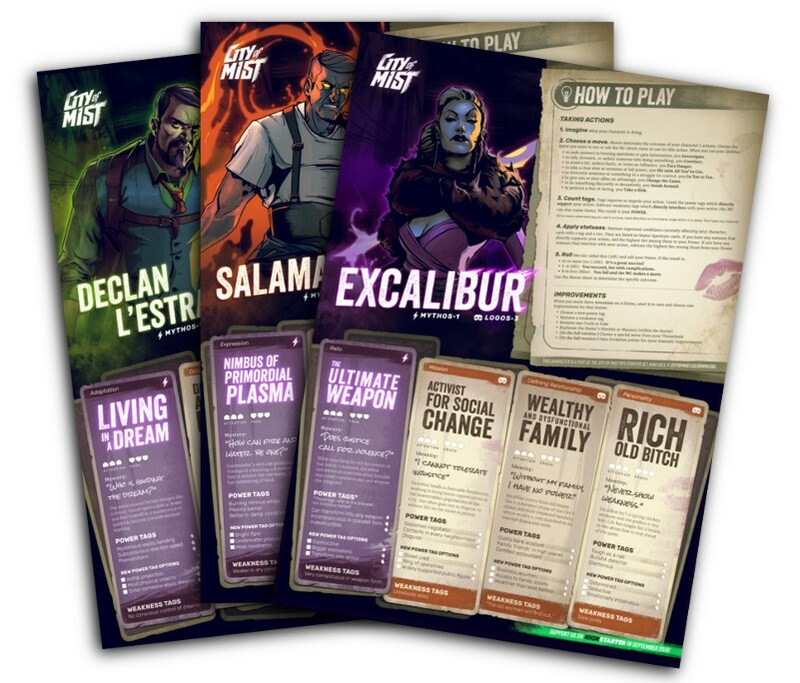 You can also download the FREE City of Mist RPG Starter Set. Disclaimer: This is – not – a paid advertisement. I have been watching the project for while and contacted Amit via Twitter. We discussed a bit about the international and the German hobby market. Furthermore, I have no personal relationship to the City of Mist RPG team. I am a backer of their Kickstarter. Take care and good luck. Auf zur SPIEL 16 (#SPIEL16). 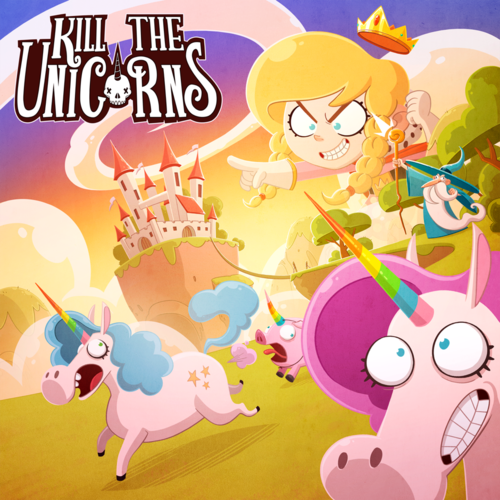 Ein Spiel bereitet mir bereits im Vorfeld viel Freude: Kill the Unicorns (Morning, 1-F131). Ein Shamane, Ritter, Barde, Gnom und selbst die Prinzessin müssen sich mit den etwas dümmlichen, aber lieblichen und überaus vermehrungsfreudigen Viechern auseinandersetzen … Ausgestattet mit unterschiedlichen Fähigkeiten gilt es möglichst viele Einhörner einzufangen. Na, das ist doch mal ein Konzept. Kill the freaking Unicorns! Sollte das Spiel etwas taugen, wird es garantiert mitgenommen. Was ansonsten Obskures auf der diesjähren SPIEL 16 geht, kann jeder hier oder direkt auf Twitter verfolgen. Enjoy. via: Danke Marcus L. famosen für den Kill the Unicorn-Tipp. Alle Jahre wieder wird es turbolent vor der SPIEL. Die SPIEL 16 stellt keine Ausnahme dar. Eigentlich war ein Interview oder ein Werkstattbericht geplant. Stattdessen gibt es diese Appetitmacher direkt aus den heiligen Verlagshallen des Teams von System Matters. Sie werden auf der Messe am Stand 2-F105 (vermutlich gemeinsam mit der Deutschen Lovecraft Gesellschaft e.V.) zu finden sein. Man läuft sich bestimmt über den Weg. Viel Erfolg! 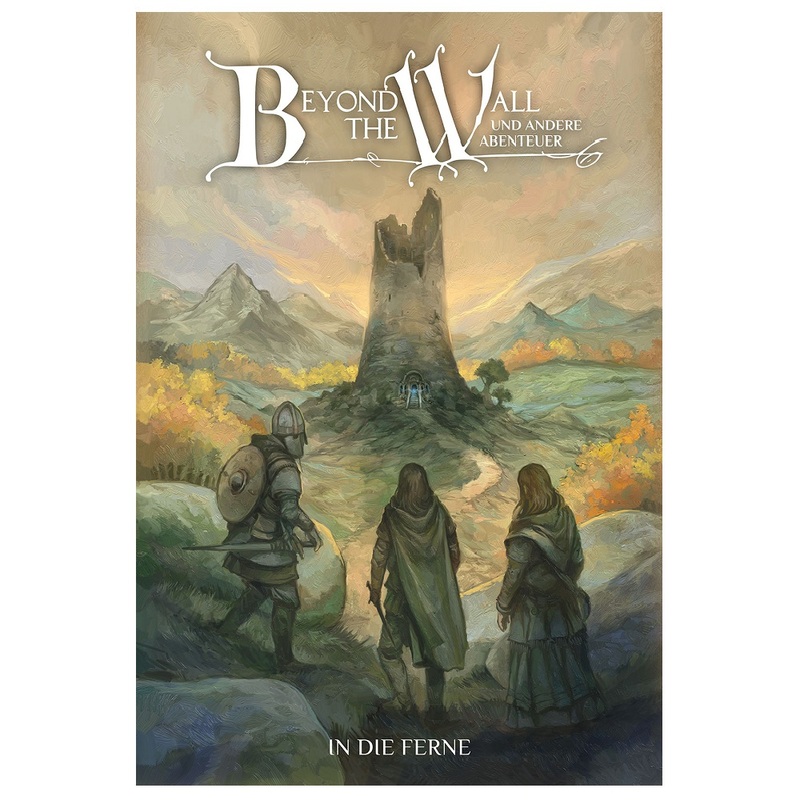 Die erste Erweiterung für Beyond the Wall ist gedruckt und teilweise schon unterwegs zu den Vorbestellern. Aber natürlich kann man sein Exemplar auch auf der Spielemesse abholen. In die Ferne führt die Abenteurer aus dem kleinen Dorf von Beyond the Wall in die weite Welt. Gemeinsam baut man eine Sandbox auf, erkundet sie und versucht gegen die große Bedrohung vorzugehen, die das Land in Gefahr bringt. Die Erschaffung der Sandbox ist dabei das Spannende! Jeder Spieler trägt etwas dazu bei und erschafft Schauplätze die für die Kampagne relevant sind. Das könnte das Schloss eines Vampirfürsten sein, die Höhlen eines Trollkönigs oder ein Weltenbaum der in den Himmel führt. Der Spielleiter prüft dann im Geheimen, ob diese Informationen auch korrekt sind. So bleibt die Spannung erhalten, aber die Spieler wissen trotzdem in etwa was sich hinter dem nächsten Hügel befindet. Das erinnert etwa an John Wicks Dirty Dungeon oder die gemeinsame Weltenerschaffung von Dungeon World und man kann es wunderbar für andere D20 Systeme (oder auch ganz andere RPGs) ausleihen. 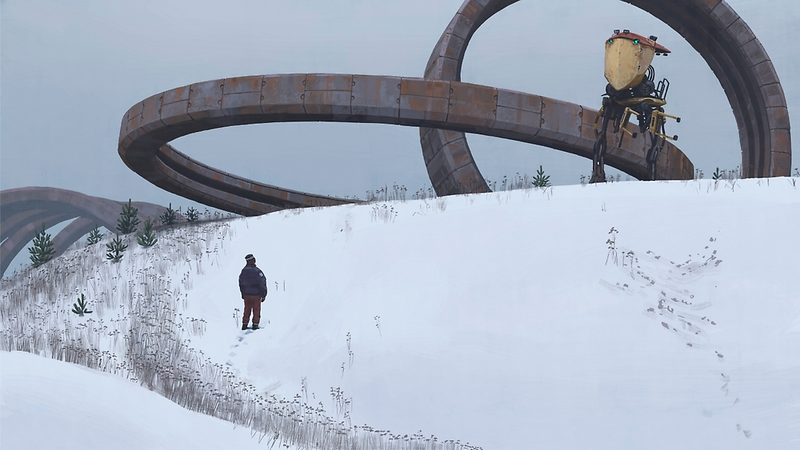 Während wir In die Ferne einpackten, haben wir auch unser Lager sortiert und noch einige Beyond the Wall Ausgaben gefunden! Es ist alles da: Regelwerk, Spielleiterbuch, Zauberbuch, Charakterbögen, Charakterbücher, Abenteuer und die Dorfkarte – Nur die Mappe fehlt. Darum werden wir den Inhalt günstiger anbieten. Man kann es auf der Messe bei uns mitnehmen oder, sollte noch Exemplare übrig bleiben, wird man es bei uns auf der Webseite bekommen. 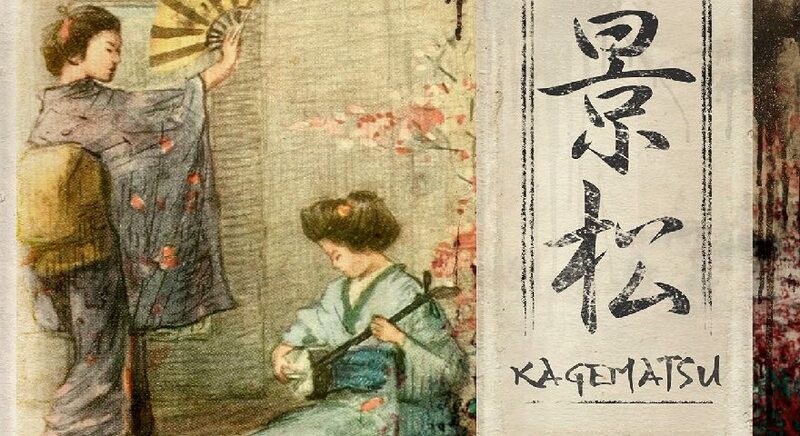 Ganz frisch zur Messe erscheint Kagematsu, das im feudalen Japan zur Zeit der Streitenden Reiche angesiedelt ist. Kagematsu heißt auch der Ronin der in diesem Spiel ein Dorf besucht, das von einer schrecklichen Bedrohung heimgesucht wird. Gemeinsam gestalten die Spieler das Dorf und legen eine Bedrohung fest: Ist es ein Tengu der die Kinder frisst, eine Bande Banditen, die dem Dorf die Wintervorräte stiehlt oder ein Drache, der die Mädchen des Dorfes entführt? Was auch immer es ist: die Dorfbewohner werden damit nicht alleine fertig und sind dankbar für den streuenden Ronin. Doch Kagematsu hat gar kein Interesse daran das Problem zu lösen. Nun versuchen die Dorffrauen den eigensinnigen Ronin zu verführen, damit er das Dorf rettet. Danielle Lewons Spiel erschien bereits 2009 und gewann den begehrten Indie RPG Award. Das besondere an Kagematsu sind die vertauschten Geschlechterrollen, denn der Ronin wird von einer Spielerin gespielt und die Dorffrauen werden von Spielern übernommen. Ein ungewöhnliches Regelkonzept, dass aber verflixt gut funktioniert und Spielerinnen in die typische maskuline Rolle versetzt. Unbedingt ausprobieren! Die Mechanik ist dabei ganz einfach: Wann immer eine Dorffrau versucht die Zuneigung von Kagematsu zu erringen, macht man eine Konkurrenzprobe mit mehreren W6. Wer das höhere Ergebnis hat gewinnt und die Szene ist beendet. Das macht Kagematsu auch attraktiv für Neueinsteiger und man kann natürlich schnell ins Spiel einsteigen. Disclaimer: Daniel Neugebauer (System Matters) und ich kennen uns vom Sehen, wir laufen uns ab und an auf Veranstaltungen über den Weg. Wir fachsimpeln dann ein wenig. Darüber hinaus besteht bislang kein engerer Kontakt zu den Blognachbarn. SPIEL 16: Adventures in Middle-earth? Noch ein paar Tage bis zur SPIEL 16. Die Vorbereitungen laufen auf Hochtouren. Der britische Hersteller Cubicle 7 Entertainment wird am Stand 7-E110 zu finden sein. Eigentlich gehören weder Mittelerde noch das größte Rollenspiel der Welt zu meinen Favoriten, aber sowohl The One Ring als auch die D&D 5th Edition gefallen mir überraschenderweise recht gut. 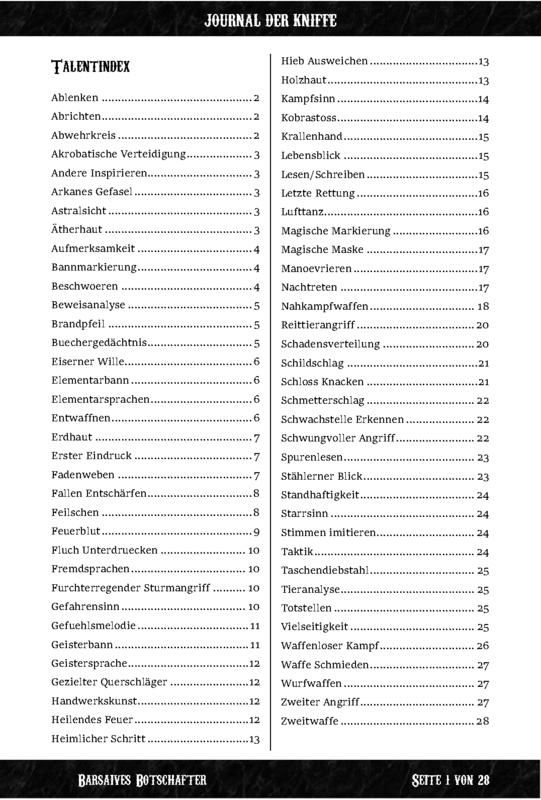 Die Briten bieten mittlerweile ihr Adventures in Middle-earth Player’s Guide, eine OGL-Variante (d20) für den Einsatz auf Tolkiens Welt, als PDF an. 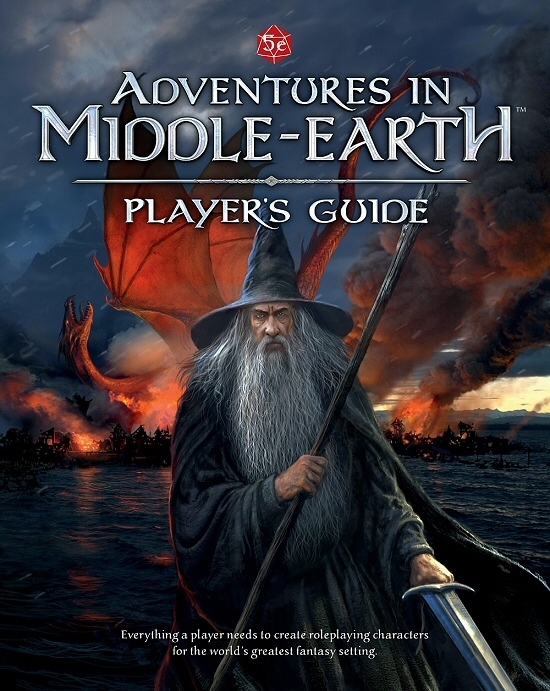 „Take your gaming group to Middle-earth™ with this thematic and atmospheric, OGL-compatible setting guide. Die Druckausgabe sollte zeitnah folgen und mit etwas Glück gibt es das Player’s Guide auf der SPIEL 16. @obskures Hoping to see AME at Spiel. Keep an eye on the KSs for the latest updates as they happen. Ich werde einen oder auch zwei Blicke riskieren. Kuro Tensei und Yggdrasill: Uppsala stehen ohnehin auf meiner Liste.